By Filip Magnus in Filip's Reviews Be the first to comment! Everything Brian McClellan has written, that I have read, I have loved. The original Powder Mage trilogy, Sins of Empire, the novellas in-between – I’ve lost myself in that world for long, sleepless nights filled with unforgettable characters and the smell of gunpowder. The Anointed is one of 2018's #SPFBO's ten finalists; this is BookNest's official score for the competition. 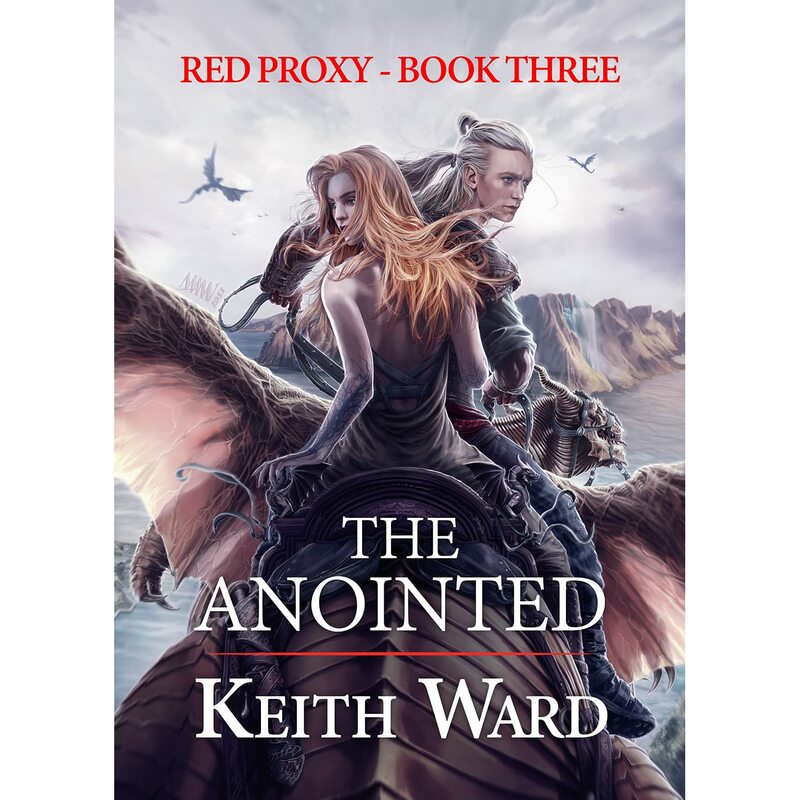 I’ll say it out front: I did not enjoy my time with Keith Ward’s The Anointed. That’s not to say the book doesn’t have merits – there is an imaginative quality about the setting of this novel, a world in which nothing floats on water, where people know their lifespan nearly from the moment of their birth (or their ‘Span’, as used in the novel), and where that same Span can be transferred to another at the cost of the transferrer’s life. The cover is also pretty damn neat! Oliver Mayes’ debut novel, Occultist, has made a litRPG believer out of me, an accomplishment I wasn’t certain would ever be in the cards for me. All this, considering how each time I’d picked up a book in this particular subgenre of speculative fiction, I ended up walking away with devilishly bad impressions. In my experience, the litRPG genre suffers from several issues, the biggest of which are an over-reliance on nostalgia and a trend towards dense exposition, and I mean walls upon walls of text as unreadable as a bad 80’s AD&D module! But this isn’t about the subgenre as a whole, it’s about the first instalment in the Saga Online series, so let’s get into it! Gates of Stone took me longer than I usually spend with a 500-page fantasy novel, and has left me with mixed feelings. Angus Macallan is the pseudonym of author Angus Donald, whose historical fiction is well-known to historical aficionados; this novel is his first entry in the world of epic fantasy. Talking about the middle book in a trilogy can sometimes prove difficult. The main characters have been spoken about and covered in the review of Chasing Graves, which got a brilliant 4.8 out of 5. The society built on necromancy has been analysed, a number of its failings pointed out in detail. Yet there is great need to speak about this novel and speak I shall!